In the fall of 1941, Anglo-American journalist John Russell is still living in Berlin, tied to the increasingly alien city by his love for two Berliners: his fourteen-year-old son, Paul, and his longtime girlfriend, Effi. Forced to work for both German and American Intelligence, he's searching for a way out of Germany. Can he escape and take Effi with him? David Downing grew up in suburban London. He is the author of numerous works of fiction and nonfiction for both adults and children, including four novels featuring Anglo-American journalist John Russell and the nonfiction work "Sealing Their Fate: The Twenty-Two Days That Decided World War II." He lives with his wife, an American acupuncturist, in Guildford, England. "From the Trade Paperback edition." 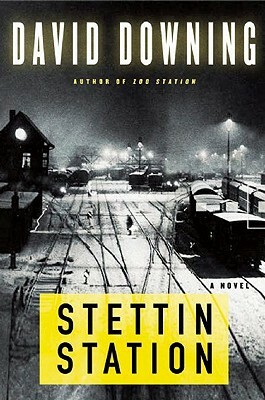 "Fans of the intelligent WWII thrillers of Alan Furst and Philip Kerr should enjoy Downing's atmospheric and tension-filled third novel featuring Anglo-American journalist John Russell.... With strong vivid prose, the author maintains a high level of suspense throughout, and makes the reader care about his leads."